Found a cute little green hat today at H&M for $3!!! 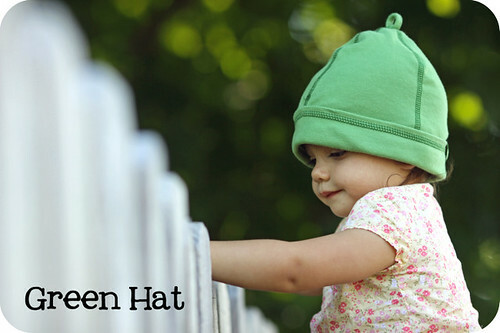 I've been looking, LOOKing,looking for a green hat for this color sequel, but haven't found anything cute enough...or cheap enough. This was a deal I couldn't pass up; it will certainly be worth it this fall! Despite the near 90* weather we're having out here, Josefine didn't mind the hat at all! Thankfully, it was nearer to the end of the day...the sun wasn't so strong and we found a nice bit of shade to enjoy!